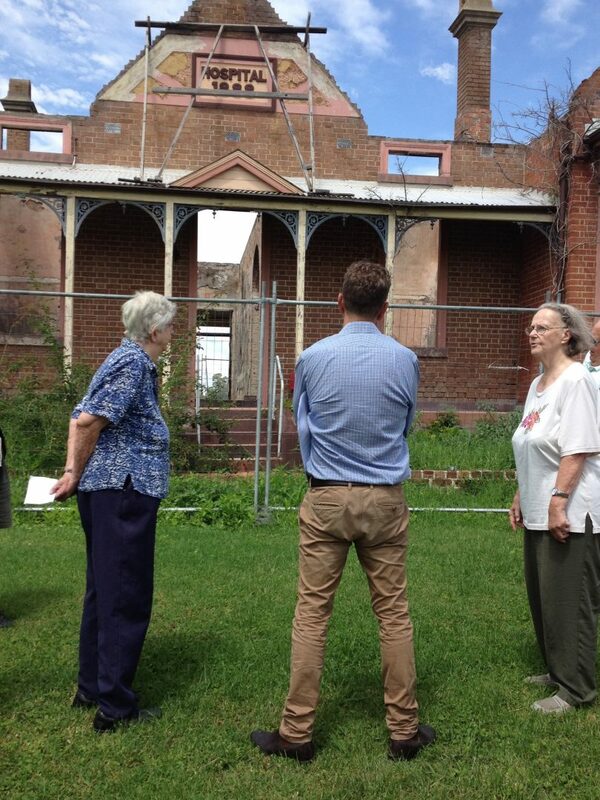 Member for Bega, Andrew Constance today announced that the NSW Government has set aside up to $3 million from the Regional Communities Development Fund for the restoration of the Old Bega Hospital. 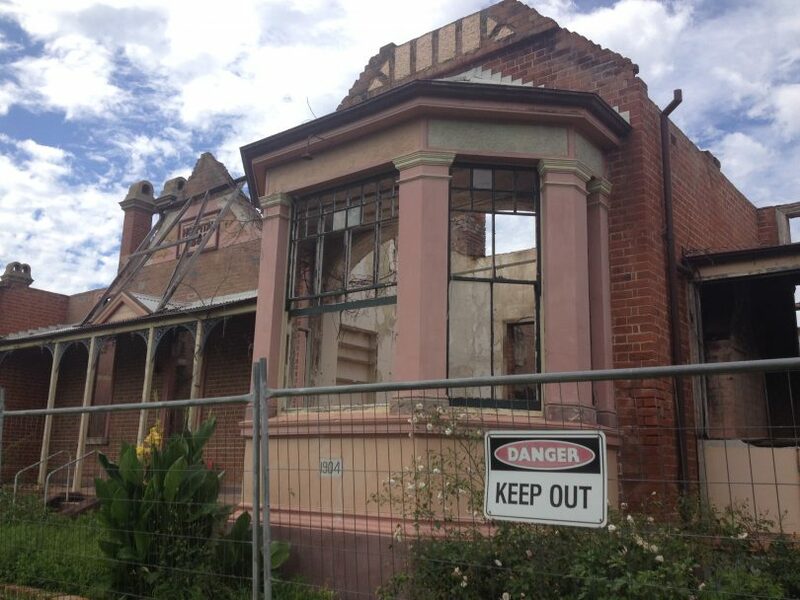 The news came as a surprise to the seven members of the Old Bega Hospital Trust who have stewardship of the building which dates back to 1888 and sadly was significantly damaged by fire in 2004. Much of the work around development applications and other approvals has already been done, making the project a conceivable reality in six months to a year, according to treasurer John Reynolds. “We’ve got about $15,000 in cash and I think that will be enough to get us through any hurdles,” Reynolds says. The group has a grand vision of the burnt out sections being used for artist studios and workshops, gallery and exhibition spaces, and affordable meeting rooms for other community groups. The site is already home to weavers, potters and Bega’s community radio station – Edge FM. Mr Constance says that he couldn’t be more pleased to make the announcement to restore a great local facility and community asset. When it comes to his earlier suggestion that the Bega Valley Regional Gallery could also move to the site, Mr Constance says the priority, for the time being, is the restoration on the Old Hospital, but that he would like to see the two organisations find synergies and work together. “Indeed it is,” says the group’s chair, Pat Jones, who expressed concern about seeing the kinds of delays the trust has experienced in the past. Trust member David Stocker also questioned Constance about the conditions of the funding. “Is the funding conditional on approval by the current government? And is there a time frame?” Stocker asked. The funding is not conditional and does not have a timeframe and will roll over if there is a change of government, Constance says. Bega Valley Mayor Kristy McBain says she is not surprised to see the project being funded during her time as mayor. But for now, with funding secured, the trust must get on with the task at hand – meeting bureaucratic requirements and then, finally, hiring a managing contractor. Just last month, Labor’s candidate for Bega, Leanne Atkinson swung in behind the project, committing a Daley Government to a $500,000 grant to restore the roof of the fire-ravaged section. The $3m set aside for restoration by our local member Andrew Constance will be basis for future centre for arts and crafts in Shire. A special A special Thankyou to local committee for its valuable work. I recall various fund raising days which many local families enjoyed. Good news for many boomers with multiple interests. Good news but I very much doubt that it is enough money. 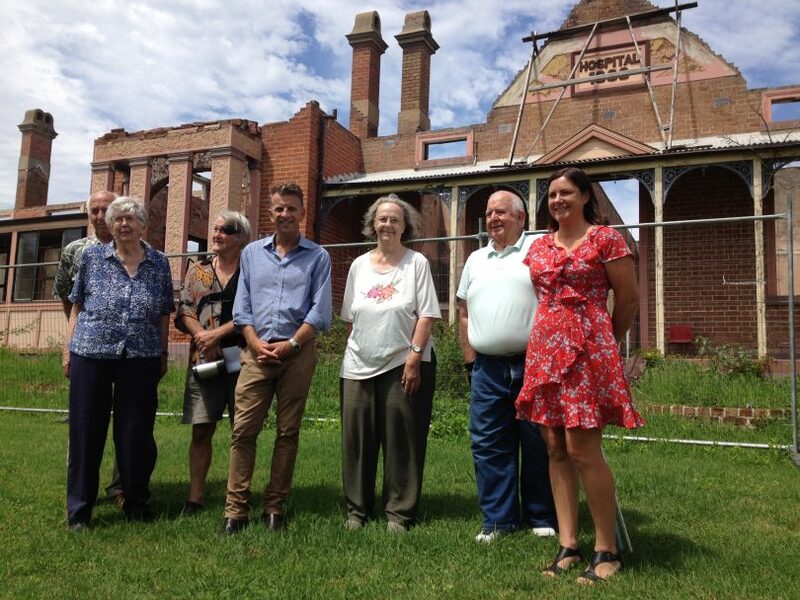 The Old Bega Hospital Trust members, including Claire Lupton & John Reynolds, are to be commended for their wonderful commitment to this fantastic restoration project. And while the entire community will benefit from the successful restoration of the Hospital, it doesn't say much for Constance that his generosity with taxpayers funds was obviously only prompted by the proximity of next month's state election.